"Any physical theory is always provisional, in the sense that it is only a hypothesis: you can never prove it. No matter how many times the results of an experiment agree with some theory, you can never be sure that the next time the result will not contradict the theory." - Robert Pirsig. This would apply to natural constants too. Your speed of light, the universal constant for gravitation, and all other universal constants - they may change. Gradually, even suddenly. Nature may not be following any "unchangeable laws". There is precision and repetition in nature certainly, but it may not be following any unchangeable laws. In fact, in 1934, Karl Popper argued that the mathematical probability of all theories, scientific or pseudo scientific, given any amount of evidence, is zero. "Why theories are unprovable & improbable"
New­ton's theory of gravitation says that every particle of matter in the universe attracts every other particle with a force according to an inverse square law. Newton's theory is a universal generalization that ap­plies to every particle of matter, anywhere in the universe, at any time. But however numerous they might be, our observations of planets, falling bodies, and projectiles concern only a finite number of bodies during finite amounts of time. So the scope of Newton's theory vastly exceeds the scope of the evidence. It is possible that all our observations are correct, and yet Newton's theory is false because some bodies not yet observed violate the inverse square law. Since "All Fs are G" cannot be deduced from "Some Fs are G," it cannot be true that Newton's theory can be proven by logically deducing it from the evidence. As Lakatos points out, this prevents us from claiming that scientific theories, unlike pseudo-scientific theories, can be proven from observational facts. The truth is that no theory can be deduced from such facts. All theories are unprovable, scientific and unscientific alike. While conceding that scientific theories cannot be proven, most people still believe that theories can be made more probable by evidence. Lakatos follows Popper in denying that any theory can be made probable by any amount of evidence. Popper's argument for this controversial claim rests on the analysis of the objective probability of statements given by inductive logicians. Consider a card randomly drawn from a standard deck of fifty-two cards. What is the probability that the card selected is the ten of hearts? Obviously, the answer is 1/52. There are fifty-two possibilities, each of which is equally likely and only one of which would render true the statement "This card is the ten of hearts." Now consider a scientific theory that, like Newton's theory of gravitation, is universal. The number of things to which Newton's theory applies is, presumably, infinite. Imagine that we name each of these things by numbering them 1, 2, 3, . . . , n, . . . There are infinitely many ways the world could be, each equally probable. 1 obeys Newton's theory, but none of the others do. 1 and 2 obey Newton's theory, but none of the others do. 1, 2, and 3 obey Newton's theory, but none of the others do. All bodies (1, 2, 3, . . . , n, . 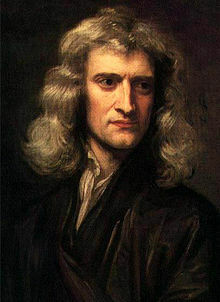 . . ) obey Newton's theory. Since these possibilities are infinite in number, and each of them has the same probability, the probability of any one of them must be 0. But only one, the last one, represents the way the world would be if Newton's theory were true. So the probability of Newton's theory (and any other universal generalization) must be ZERO. Now one might think that, even if the initial probability of a theory must be ZERO, the probability of the theory when it has been confirmed by evidence will be greater than ZERO. As it turns out, the probability calculus denies this. Let our theory be T, and let our evidence for T be E.
If the initial probability of T, that is P(T), is ZERO, then P(T/E) must also be ZERO. Thus, no theory can increase in objective probability, regardless of the amount of evidence for it. For this reason, Lakatos joins Popper in regarding all theories, whether scientific or not, as equally unprovable and equally improbable. We cannot study the big bang, if even there was one - what we have to do is infer from the hypothetical big bang to what the universe might look like if the big bang happened, microwave background radiation and gravitational waves and so on, and if we find those things then we consider the big bang to be a theory and no longer a hypothesis. However, no theory can ever be proved and certainly no single observation can be expected to prove a whole theory. It is literally illogical to ask for proof of a theory. All proofs of a theory commit the fallacy of affirming the consequent. That is "If P then Q, Q, ergo P". Instead theories are explanations of all the observed facts taken holistically - theories offer explanations for why it is that all these facts seen as relevant hang together the way they do. One might ask for proof that the earth rotates and orbits the sun. Another might answer that all one needs to do is observe the sun rising in the morning. But a more simple explanation of the sun rising in the morning would be that the sun orbits the earth. By this we see that no single observation could ever prove a theory. There are always other possible explanations for singular observations. Theories must instead explain all the facts combined - they must account for all the observation facts under one umbrella. So what happens when, like the big bang hypothesis, we make a god hypothesis? Well, we ask ourselves what the world and universe would look like if such a hypothesis got it right. But when we do look to the world and universe we find that, of all the explanations for the way the universe and world are, the least best explanation is that there is or was a god. There are other better explanations. And only the ignorant or irrational would follow the less better explanations. But again - only those ignorant of logic and the theory of knowledge would ask for a proof for anything outside of logic and math. It is literally illogical to ask for proof of a theory. Theories invoke confirmations out of the logical form "If P then Q" where an affirmation of Q cannot guarantee P.
Theorems on the other hand invoke confirmations out of the logical form "Iff P then Q" where an affirmation of Q unequivocally also establishes P. Theorems are confined to areas analytic - math and logic - they do not also cover theories (explanations). Scientific theories are not theorems but rather are explanations and most explanations actually can't even be arguments anyway. It is literally illogical and a major misunderstanding of science and its theories, the nature of theories generally, to ask for a theory to be proved or to not realise that one is being asked a nonsense question when one is being asked for a proof. Also there is no such thing as "The" Scientific Method. Believing so is an example of scientism. Instead there are a myriad of methods each employed according to their appropriateness. Ray comfort asks not for many but for just one observation that proves evolution. But logic informs us that no single observation can ever unequivocally affirm a theoretical conditional proposition. For any one observation and even multiple observations there is always the possibility of some other explanation. As I have said before - observing the sun's rising might be invoked in support of heliocentircism yet that one observation could be more simply invoked in support of geocentricism - such is the weakness in pursuits of some single observation that supports or proves a theory. The strength of a theory is measured not by it being supported by one single observation but rather that it explains all related observations and so not one but a list of observation must be invoked when trying to demonstrate that a theory is a good explanation. The theory of evolution is not confirmed and, like all theories, nor can it be proved, by any single observation - instead it is the best explanation for all the observations taken as a whole.